What do Don Imus, the recently reviled and fired CBS shock jock, and Robert Nardelli, the former chief executive of Home Depot and well regarded GE executive, have in common? Neither Imus nor Nardelli Saw It Coming. They were completely blindsided by the actions of their employers. Both Imus and Nardelli believed that they had total control over their respective situation, yet did not. Like Imus' sudden dismissal, "Nardelli's exit came as a surprise; according to Forbes.com, just months earlier, he told the Associated Press that, despite the firestorm, he would not leave the company and had the support of the Board." These events are far from unusual. A recent survey by Challenger and Grey has shown a sharp increase in the sudden firing of CEOs. Why might this occur? 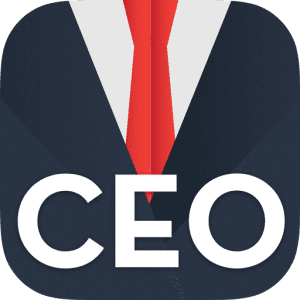 Being a CEO can often result in isolation, both from the world at large and from those who ultimately are responsible for the CEO's continued employment. Too often, CEOs are surrounded by well-meaning executives who protect them from hearing bad news. While this can be affirming, it can also hide or distort reality. Being protected can too often result in being blindsided, as Imus and Nardelli learned the hard way. How can you, as a CEO, prevent this from occurring? Most executives approach their role with the best of intentions: they want to lead effectively, increase shareholder value, be seen as fair, and motivate their employees to follow their leadership goals. But too many get blindsided along the way, because they lose perspective. For many senior executives, and particularly for CEOs, the biggest challenge they face is to maintain their grasp of the reality that surrounds them. They need to understand the effect of their own power, how their actions are viewed and interpreted, and the influence they are able to wield. There is a major trap that leaders can inadvertently set for themselves when they assemble their teams, whether the team is their direct reports or their boards. That trap is bringing in weak people. In this respect, weak does not mean unskilled or untalented. Weak means hiring men and women, whose role it is to support your views. These individuals are the quintessential "yes men" who will tell the naked emperor that he is wearing a custom suit. A quick look at those who surrounded Imus and Nardelli is instructive. David Carr, in the Media Equation, notes that "Most of the time, when shock jocks step over the line, they are surrounded by a cadre of faceless enablers€¦ Mr.Imus was alone and ineffective in his defense, after years of being surrounded by the sycophancy that has left him reflexively entitled and ill-prepared for media opportunities in which he does not control the microphone." This level of an inner circle that alters reality and provides protection should not be seen as an aberration. Corporate leaders typically face great isolation in the corner office. As a leader, it is essential to set boundaries between self and staff, but living within those boundaries often results in isolation and insulation. To offset this effect, leaders often begin to rely on a smaller and smaller circle of people for advice and counsel, but this brings with it significant peril. The creation of a small inner circle can result in an over-reliance on limited and biased information resulting in a flawed picture of the world beyond these boundaries. As Machiavelli warned, "Flatterers abound because men [and women] are so easily pleased with their own qualities and are deceived by them." Flatterers and sycophants can unintentionally arise in groups formed through long associations. When Nardelli formed his new leadership team for Home Depot he replaced long time Home Depot executives with his former colleagues from GE. Not content with filling his leadership team with former GE colleagues, an analysis of the Home Depot board also showed that many of the Board members had close ties with each other and with GE. Nardelli, like Imus, did nothing illegal or improper by creating a close group of confidantes. There are no governance tenets, nor are there moral violations in creating such counsel. Quite often, leaders bring their personal favorites with them from job to job. The problem is that these favorites quickly form an inner circle, and, in essence, become co-conspirators who reinforce their leader's blindness to his own vulnerabilities. Consequently, this inner circle falls into the same trap as the CEO has set for himself-the trap of altered reality. As Robert Greene wisely noted in the 48 Laws of Power, they are wizards in the laws of influence. People in the organization quickly learn that they cannot talk with the members of the inner circle about ideas which are counter to that espoused by either the inner circle or the CEO, nor can they easily gain access to the CEO without his advisors surrounding him. Ideally, the roles of HR chief, CFO and General Counsel are seen as objective representatives of the best interest of the corporation and its shareholders. But, if any of the individuals who hold these key roles were brought into the organization from the CEO's prior company (or companies), they are immediately seen as the CEO's inner circle. Who will tell the EVP of HR, the GC or the CFO that something is wrong if they believe, based on prior affiliation, that the individuals' loyalty is to CEO and not to the company? It is clear to even a naÃ¯ve observer that if someone arrives with the CEO, they will leave with the CEO. The only interest that they serve is their allegiance to their protector, and, of course, self-preservation. Years ago, Irving Janis' seminal work on Kennedy and The Bay of Pigs identified the danger of group think to objective and informed decision making. The same holds true today and the stakes are equally high for every company. Loss of perspective coupled with both the illusion and delusion of invulnerability is one of the biggest dangers a leader can face. Seeing a true picture of one's behaviors, hearing unedited commentary on the true impact and consequences of proposed and taken actions is key to strong leadership. The critical challenge for the leader, then, is whether or not he will listen to the person who tells him he is naked. But how can the leader insure that the voice of constructive dissent is heard? 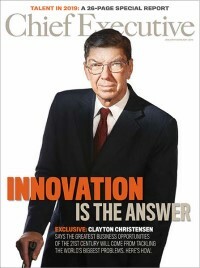 What can the CEO do to stop adulation from fogging his vision of the future? What is necessary in order for the leader to be objective and discerning in listening to information that might be counter to his prior ideas and plans? How is it possible to really know what people are filtering in and what they are filtering out? Who can be trusted to present honest and legitimate dissent? First and foremost, it is necessary to find true outsiders who have no vested interest in the CEO's continued role. To be successful, then, it is necessary to introduce a different voice, or better yet, voices. The senior team surrounding the CEO must have a significant majority of members who are new to his team, and have not worked together in the past. The same rule should hold for the members of the Board of Directors. Additionally, some of these outsiders should be true outsiders, who are not employed by the company. Some may be peers in other companies; some may be hired guns in the form of consultants who are asked to be a devil's advocate to the CEO's views. Key here is identifying those who will respond honestly and objectively and push back as necessary, regardless of the majority view and how they might be paid. Company culture is also critical here. It is difficult to create a culture of openness and dissent, if there is a history of "killing the messenger." Creating reward systems that encourage constructive dissent and openly and positively recognizing the value of challenge are necessary for a new cultural norm to be created. There are also personal mind-set issues to acknowledge and resolve. Once the CEO begins to believe his own press, the slippery slope includes such beliefs as "I am irreplaceable, I am the only person who can bring success to this company" and its correspondent feelings of personal untouchability. The belief of invulnerability stems from both ego and self-serving bias. This lethal combination can result in individuals discounting any challenges to their ideas because they believe that they have always been correct in the past. Often, the most significant obstacle to success is past success and the resultant belief that success always follows success, despite warning signs to the contrary. It has become open season on CEOs who ignore their constituencies and their critics and challengers. Because of the false sense of security provided by Imus and Nardelli's inner circles of support, they did not see it coming. The best defense against being blind-sided is to be ever-vigilant in scanning all parts of the environment and to encourage constructive challenge and dissent throughout the company and the board. It is impossible to ever see it coming if the CEO builds walls of self-assurance and self-congratulation and never peers over those walls. Elaine Eisenman, Ph.D. is Dean of Executive Education at Babson College (eeisenman@babson.edu) and coauthor of I Didn't See It Coming: The Only Book You'll Ever Need to Avoid Being Blindsided, published this month by John Wiley and Sons.